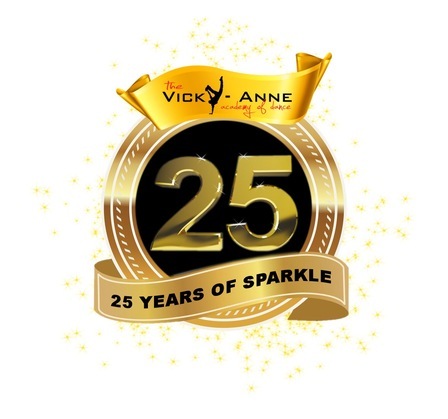 The Vicky-Anne Academy of Dance and Drama was established in April 1993 by principal Vicky-Anne Martin. The Academy prides itself on the Family atmosphere it has created over the years where many pupils have enjoyed learning to dance and perform in an encouraging, supportive and safe environment. We offer classes in Ballet, Tap, Modern, Commercial, Drama, Musical Theatre, Acrobatics, Contemporary and Lyrical. The Academy strives to offer professional training by experienced, qualified teachers. We have a fantastic team of teachers who aim to develop both technique and confidence in all subjects. At Vicky-Anne's we believe every child counts and welcome all children into our school. Pupils are able to develop their training through graded examinations with both The International Dance Teachers Association and The London Academy of Dramatic Art. The Academy holds a show every year at The Civic Hall Bedworth and all pupils are able to take part. Pupils can also take part in festivals and various events and shows throughout the year. All pupils are expected to wear the correct uniform for classes. The uniform helps to provide a disciplined environment as well as helping pupils feel part of our team. Our younger pupils generally wear a black "v" neck leotard with a black lycra skirt for ballet and black jazz trousers for tap and modern. Pink cross over cardigans are optional. Ballet socks up to grade 2 and white ankle socks up to grade 1 tap. Pink leather ballet shoes with elastic. Pupils are able to purchase T-Shirts and Sweaters from the Academy with the Academy logo on and their name embroidered on it. These items can be worn in class and they do provide a sense of uniform when the Academy performs at events. Please note: All pupils must wear their hair back for classes i.e. A bun or French Plaits. No jewellery must be worn during class. The Academy is only responsible for pupils during class time. It is the parent's responsibility to ensure that a child is picked up on time to avoid any situations of concern. The Academy cannot except any responsibility for personal items which are damaged or lost on the premises. It is therefore advised NOT to bring mobile phones or I-Pods to class. All pupils and parents are expected to conduct themselves in an appropriate manner whilst enrolled at the Academy. Uniform must be worn for all classes. Any inappropriate or disruptive behaviour will not be tolerated and may lead to dismissal. The Academy expects its pupils to support and help each other as we are all part of the same team.